I might have to break this down into genres since the question of good gameplay is really contingent on that. This might sound weird, but for RPGs, I love Final Fantasy VIII’s gameplay. I don’t know how to explain it, but VIII just seems so neat and organized to me, just like you’d expect a military organization to be hehe. Instead of fighting monsters for gil, you receive a paycheck at regular intervals based on your SeeD rank. You can also take tests to raise that at any time, and in my head Squall and co have some sort of smartphone device that they use to receive such information, and gil is more than likely not in electronic form. It all just feels very sleek and modern, and unlike many, I loved the Junction system once I understood how it worked. While it might take a while to “set up,” as in you had to expend time drawing different kinds of magic, once that was done, you were pretty much invincible. I think World of Final Fantasy borrowed heavily from VIII in terms of having monsters/creatures give you your stats instead of shuffling around weapons and armor. For puzzle games I have to go old school and talk about The Adventures of Lolo 3. Such simple controls, such challenging puzzles. You only had one “action” button, which was used to fire shots. The rest was all about maneuvering and your wits. I’m using the third game in the series, because this was the one I started with. 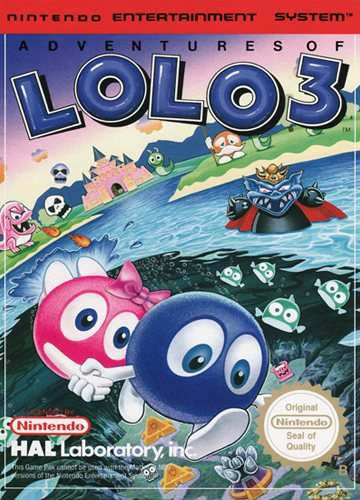 I’ve played the first and second now, but Lolo 3 will always be my favorite. 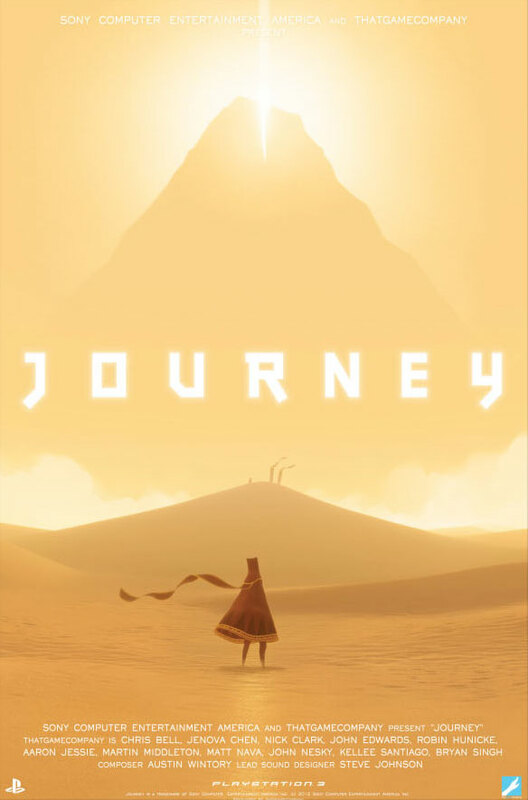 In the same vein of simplicity, I have to mention Journey. You only have two actions: jump and signal, and the rest is just you moving the Traveler through the wasteland, and that’s all your need. The ease of access yet beautiful, profound story put this at the top of my Gameplay list. I guess this would’ve been a great answer to “simplest” gameplay save for FFVIII, which is a bit complicated. Thank you for sharing! I went a completely different direction and I interpreted best game play as a game that challenges yo, but allows you to have fun and make choices hahaha. That’s what I love about people, we each will have different interpretations and viewpoints on the same question lol. Have a great afternoon! I think that’s a great way to judge gameplay! It’s one of the most vague aspects of any gaming review. I think going by your terms, I’d stick with The Adventures of Lolo. That game was a brain teaser, but it was so much fun to try to puzzle out, and the basic controls were so simple, yet you had so many different maneuvers you could make. Questions like this always end up leading me back to original Contra. It’s so simple, but so great in every way, so perfectly paced, and it’s so short that you can just pick it up any time without any real time investment. 30 years and I’m still not sick of it. I want to play it again now just thinking about it. Gameplay-wise, I’d say Super Mario Bros 3. To this day it’s entirely perfect and set the gold standard for any 2D platformer to follow. Bayonetta 2 is another. Agreed! I was just saying that I almost think there needs to be categories for this. Like FPS, RPG, platformer, puzzle, etc. There are some variations in what people think of when they hear “good gameplay.” For me it’s a scale of difficulty compared to fun. If a game is too hard and too complicated, it takes that away. I can see your reasoning for FFVIII but that’s a game, I’ve never loved and have a sour relationship still to this day. For me, I don’t think I can pick just one but I’d say Super Mario Bros. 3, The Legend of Zelda: A Link to the Past, Pac-Man Championship Edition DX, and Tetris. FFVIII always came off to me as Squeenix experimenting with something different. Some people like it and some people didn’t. That’s one thing I can give to the company. They’ll try something different in each iteration, so even if you don’t like one particular thing, you know the next game won’t be the same. SMB3 is like the epitome of perfect in terms of everything. My favorite SMB is 2, but I can’t deny that SMB3 was the better game. I also liked SMW. I almost feel like this question needs categories. LIke Best Gameplay for FPS, puzzle, platformer, RPG, etc. I still think we’d get a variety of answers, because everyone defines “good gameplay” differently. I don’t know about best, but I’ll throw one out their from back in the day. Grandia 2, why? Being a turn based RPG, I find classic ones can play out a bit boring. Back then and now, The battle system Grandia 2 keeps the battles fast paced and having the battle timer measuring all characters turns and the ability to counter while enemies prepare and attack added so much strategy and satisfaction when I could pull some wicked counters off. I LOVE Grandia 2, and it really did introduce what I think is the best turn based battle out there. Child of Light mimics it, which added to that game’s appeal. World of Final Fantasy has a similar one, but there’s no counter ability. oh good to know about child of light, I’ve always wanted to play JRPGs turned based with a similar battle system, a lot of what I played after Grandia 2 felt too slow and boring. So I’ll check that out maybe. This is a very difficult question to answer, since there are so many factors to consider for gameplay. For me, it’s a combination of what you can do in the game and how smooth it is to do it. So my top choice would be Super Mario World. The sense of momentum in that game is fantastic. I know Sonic was the mascot known for speed, but I love running and flying (with the cape) through Super Mario World stages. With Yoshi, amazing level design, and secret exits galore, I can’t get enough of the gameplay. I play this game every single year and never get tired of it. It’s pure exhilaration for me. It is a really difficult question, because it really depends on the game! I guess you could look at it like “What game exemplifies gameplay for it’s genre/subgenre?” But even that doesn’t seem right. There are games I play for their story; games I play for their strategy element; games I play for fun; and a combination of those and other factors. SMW is definitely up there. It has that sprawling, seamless world, the game mechanics are excellent, and it does SMB3 proud as its sequel.